Jamie edited a book proposal for me. It was my first proposal and I was nervous. Jamie’s work was instrumental. She did a great job reformatting the proposal to look consistent and professional throughout. She worked quick and had the proposal back to me in a timely manner. She offered great advice in places the prose needed tightening, and was positive and encouraging in her feedback. Jamie helped make an otherwise overwhelming process more manageable, giving me some much needed confidence along the way. —Shari D.
Jamie’s keen eye and concise understanding of language allow her to not only make necessary corrections but to take anyone’s work to a deeper level. She is prompt, professional, and personable. (She also helped me understand the difference between an n dash and an m dash!). —Dorothy Greco, author of Making Marriage Beautiful. Great writing doesn’t happen on the first draft: it needs to be pruned and polished. One of the hardest tasks for a writer is to “kill your darlings” and edit words you have labored over. Jamie Hanauer has an incredible ability to help with pruning and polishing: every time she has worked on one of my pieces I’m amazed at the finished product. She is able to edit so that the result is true to my style and intention, but so much more polished. I highly recommend her wordsmithing skills! —Bronwyn L. Contributing Writer for the Huffington Post. Jamie is my go-to when I need an eagle eye on my words or those of others!” —Margot Starbuck, award-winning author of The Girl in the Orange Dress, He Knows Your Name, Small Things With Great Love, Overplayed, Unsqueezed, Not Who I Imagined, Permission Granted, and the Writing… That Shines series. Working with Jamie was an absolute delight. With her background in legal practice and her status as a seminarian, Jamie brings both an emotional depth and a profoundly helpful rational insight to the task of editing, making her a valuable asset both for fiction and (I would imagine) for nonfiction. She works hard, keeps to deadlines, and provided exceptional feedback and insight that took my book from good to great. I would highly recommend her. —S. Wyatt Young, author of The Tale of the Elm Trees. 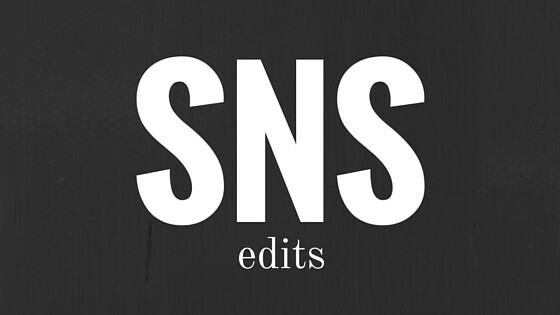 Jamie and SNSedits have the tremendous God given ability to create and bring to life what you visualize for all of your editorial needs! Her attention to detail, relentless work ethic, and great customer service will not disappoint! —Timothy Timberlake, author of Abandon.